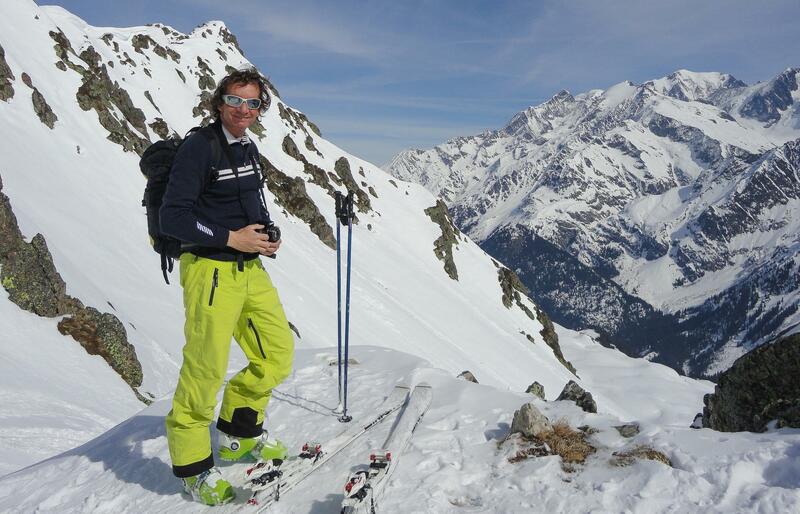 I was born in Savoie and have always been keen on mountains and skiing. I naturally chose to become a professional, around 30 years ago now. I climbed in different parts of the world, participated in two expeditions to the Himalayas, including the first ascent of the Southwest Spur of Gyachung-Kang (7952metres) in Nepal. 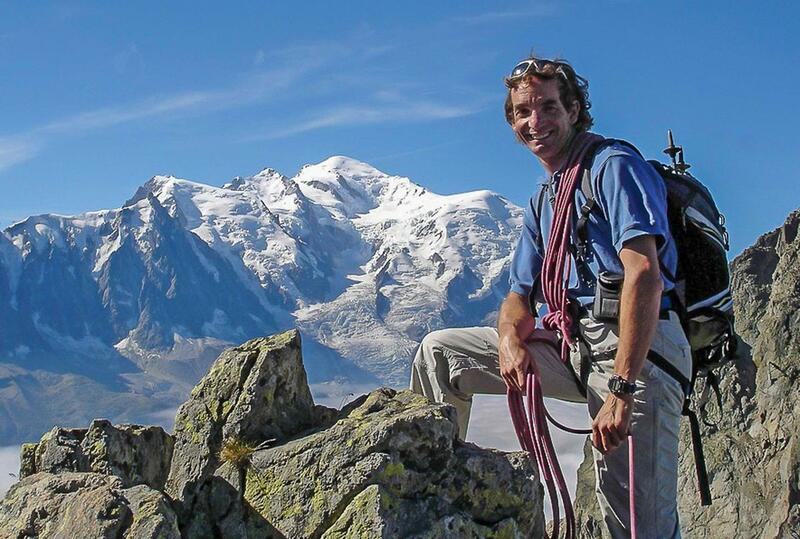 The Mont-Blanc Range has always been my favorite "playground " with the achievement of many "major routes". I got more than 150 times at the top of Mont-Blanc . 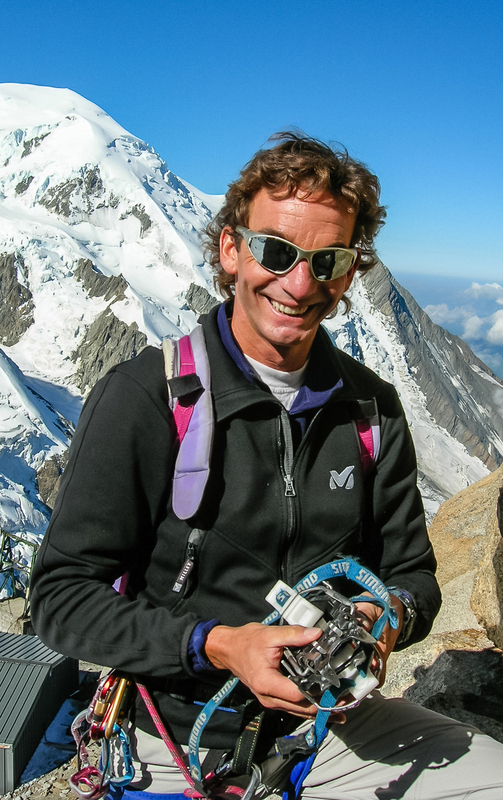 I was graduated as a Mountain Guide in 1987, after obtaining the "Accompagnateur en Moyenne Montagne" diploma and the "Aspirant Guide" Diploma. Since my childhood, skiing has been my passion. From skiing competition to free-ride, from ski-touring to the technicality of a beautiful demonstration on a slope, to me everything is pleasant, without any hierarchy. My thirst for gliding led me also to practice snowboarding, another pleasure that I share regularly. Skiing Instructor since 1986 , I now teaches within the structure EVOLUTION 2. 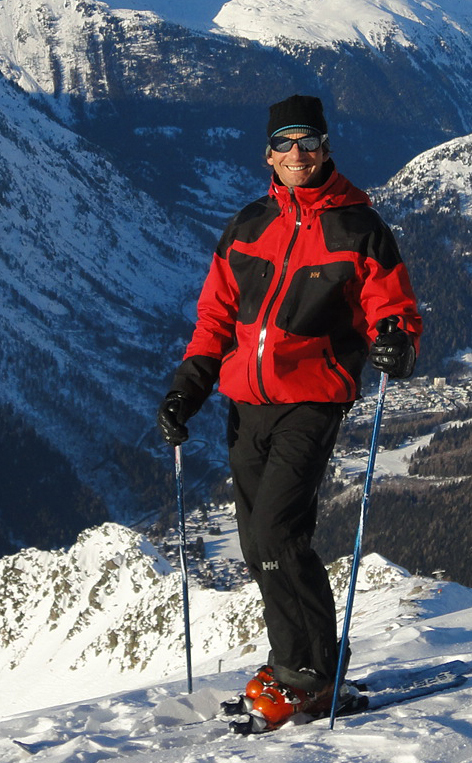 As a teacher at the National School of Skiing and Mountaineering (ENSA) I also train future skiing instructors. I also practiced all kinds of sports such as skydiving, scuba diving, paragliding... and today my favorite hobbies are cycling (racing bike and mountain bike) and photography.